There is a cash back feature in the card. APR for balance transfer, purchases and cash advance is reasonable. You are going to get unique travelling services and travelling insurance with the card. No need to pay annual fee. 3.99% APR for first 6 months for Balance Transfer APR. Cash back rate is quite low. Cash advance fee is a little bit high. You will need to pay extra 3% for foreign transactions. 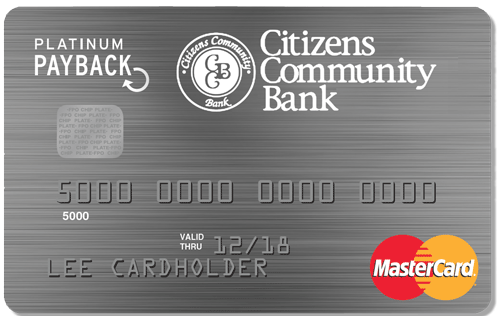 Citizens Community Bank Platinum Payback Card is a credit card which offers low interest for purchases. Unfortunately cash back rate of the card is a little bit disappointing with 1% rate though. 18.49% rate for Cash Advance APR is good and 3.99% APR for first 6 months will help you to transfer your without high interest rates. After 6 months later it is going to be 14.99% as same as purchase rate. Downsides of the card are cash back rewards should be better, Cash Advance Fee is high, you will need to extra 3% (or $10) for every foreign transaction fees. There is not also any good 0% APR promotion with the card. There will be many travelling and insurance goods of the card if you ever decide to get it. You can see rates and editor scores of the card below. You can also read user reviews and add your own thoughts about it. 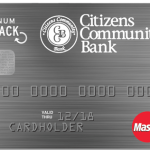 You can read user reviews for Citizens Community Bank Platinum Payback Card below, you can also review the card and write your own thoughts. According to editor scores of the card, is it below average? Yes it is. However there are many other cards of the company. We recommend you to follow our new card reviews to if you are interested with Citizens Community Bank Credit Cards.